The Twin Cities’ suburb of City of Burnsville is actually the 10th largest city in Minnesota. It has grown up from its roots of a primarily Irish farming community – but somehow maintained some of the rural charm with more than 3,300 acres of parks and wildlife refuge lands. Burnsville is a short drive away from many Twin Cities amenities – Minnesota Zoological Gardens, Valleyfair Amusement Park, Mystic Lake Casino, the Renaissance Festival, and the Mall of America. And it’s a short drive from St Paul and Minneapolis if you’re looking for an easy commute. Burnsville has plenty of amenities too. 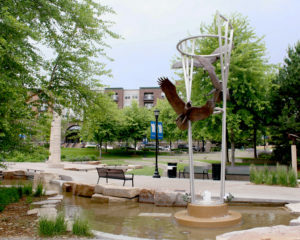 Burnsville is home to a regional mall comprised of 1.2 million square feet, more than 3,300 acres of parks and wildlife refuge lands, a variety of recreational opportunities including a major ski resort, over 2,200 businesses, and many fine lodging and dining facilities.